Windows 10 Fall Creators Update to get some new changes in Task Manager. 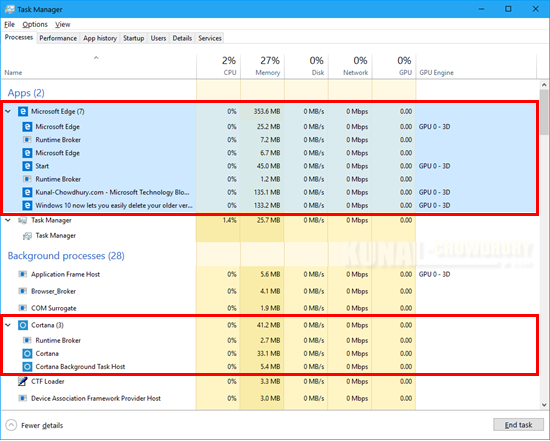 Along with Windows 10 Insiders Preview Build 16226, Microsoft added grouped processes and GPU performance to the Task Manager window. In this post, we are going to see the new changes that's going to come in Task Manager. Continue reading to know more. 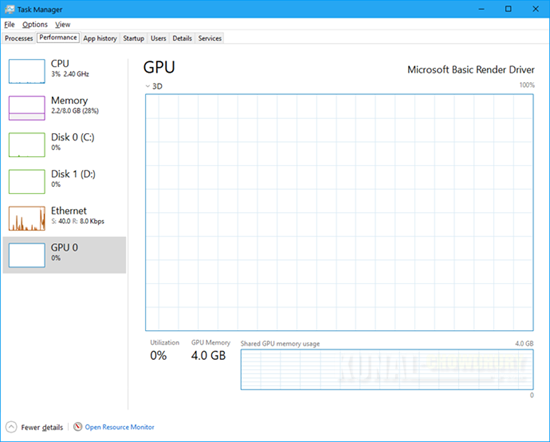 Based on the insiders feedback, Microsoft updated the Task Manager to include GPU information. 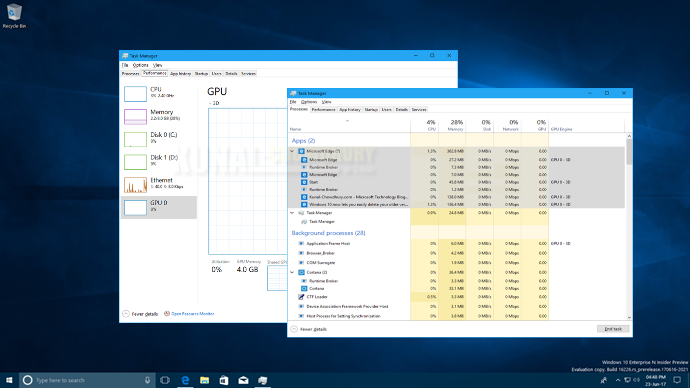 The Performance tab in Windows 10 Insiders Preview Build 16226 now shows you the GPU utilization information for each separate GPU components, as well as the graphics memory usage statistics. The Details tab shows you GPU utilization information for each process. If you are a Windows Insider, and in the fast ring, you can now check this feature ahead of the general availability. Please note that, this feature is still under construction and you may encounter issues. With this build, Microsoft grouped each app's processes in a single collection for easy management under the Task Manager | Processes. If you open a bunch of Microsoft Edge tabs and windows, it will show those browser tab names under a group. This will help you to easily know what you are looking for. Was the post useful? Don't forget to check my other post on new improvements coming to Storage Sense on Windows 10 Fall Creators Update. Let us know, which feature you liked most in this preview build. If you have come this far, it means that you liked what you are reading (Windows 10 to add Grouped Processes and GPU Performance in Task Manager).